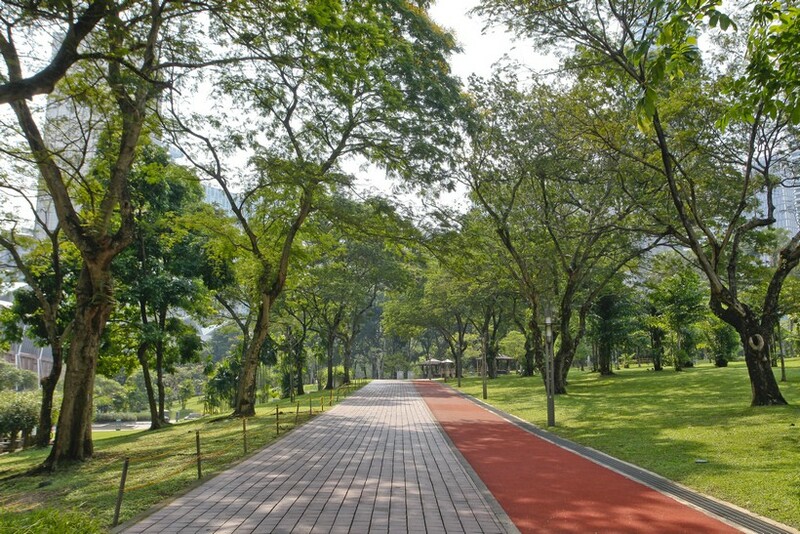 Runners in KL are blessed with a profusion of parks and green havens that dot the city. Not only do they breathe life and add verdancy to the concrete jungle, but they provide long stretches of trail and track upon which avid runners can satisfy their desire to crush kilometres. 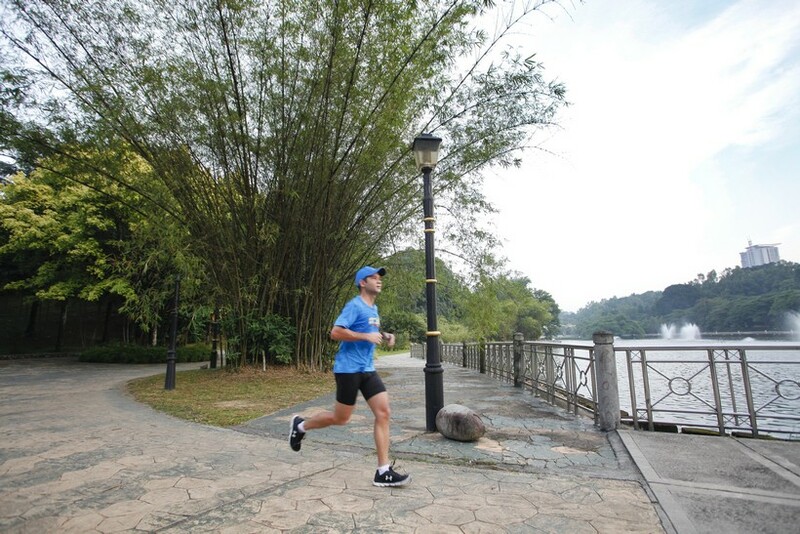 The Standard Chartered Marathon is six months away – not long for someone preparing for the full 42.195km race. Running in the gym or on a treadmill can be a dull affair so take advantage of these running oases, which can be ideal training grounds for race day. 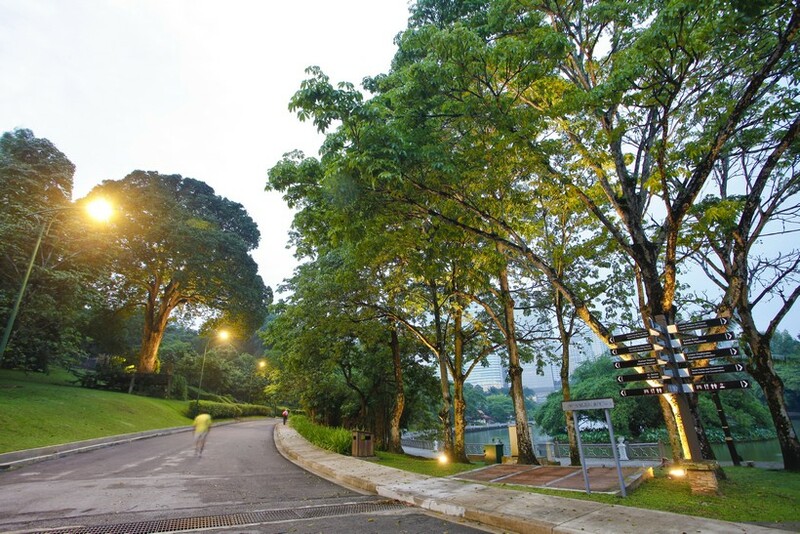 The green lung of KL and the biggest park in the city, Perdana Botanical Gardens is part of the Tun Abdul Razak Heritage Park and covers some 173 acres of lush, undulating terrain. Criss-crossed with paths, runners are spoilt for choice here. The landscaped hills and trails provide ideal early morning or late after jogging locations. The crisp, fresh air and pervasive sounds of wildlife make for a serene running experience that help take the mind off stresses and strains. The 2.3km track around the central lake is flat and asphalted but if you choose to lengthen your run up the eastern side, a marked incline offers the opportunity for hill starts. The west side of the park in turn is filled with eye-catching attractions, from the Orchid Garden to the Bird Park, and up towards the Hibiscus Park. From there, you can cross the Forest Tree collection and head to the east side of the park where more trails await. 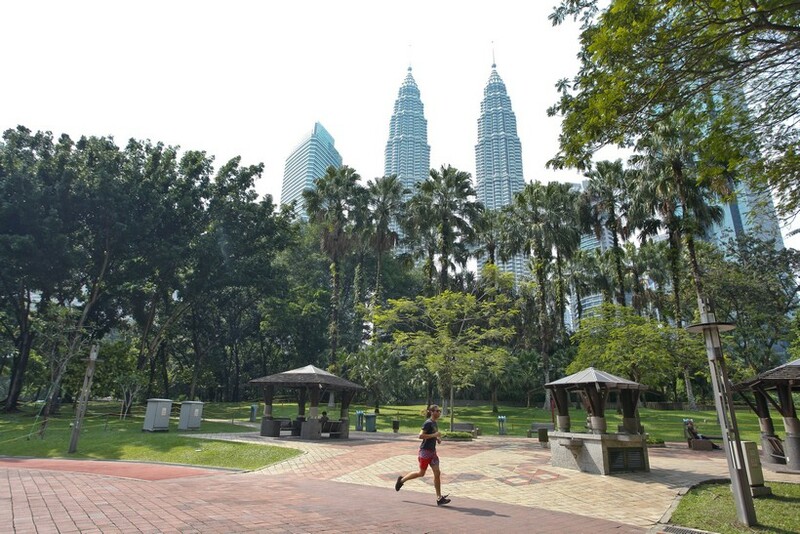 At the base of the Petronas Twin Towers lies the much-loved KLCC Park, which has since day one been a favourite green retreat for city dwellers. The convenience of its location makes it a popular outdoor leisure spot, and for busy professionals on a tight schedule, its running track is the preferred choice, causing it to become busy on a daily basis. The 1.3km track that loops around the park is composed of rubber chips that help absorb the impact as you run so it feels as though you’re on a professional stadium track. You’ll be able to monitor your split times too as the track is marked every 100 metres – ideal for sprint training. The abundance of trees provide ample shade so even on a blistering day, it stays relatively tolerable on the track. You can also choose to veer off track and run across the hilly portions of the park to change it up. Nestled in a bed of lush flora and fauna, “wow” is the commonly uttered response when arriving at the Forest Research Institute Malaysia (FRIM). If you don’t mind the 30-minute drive out of KL and to Kepong where FRIM is located, you’ll be well rewarded with this sanctuary for runners, trail and road alike. Although the trails that cut through the forest are reserved for guided groups only, there are a number of paved roads open to joggers and these are a joy to run on. Make sure to look up and check out the phenomenon known as ‘crown shyness’, found in Borneo and Sumatran rainforests. If you do want to hike into the forest and on any of the permitted trails, you’ll need to gather a group of at least 20 and hire a nature guide. From 30 minutes to an hour, each trail highlights various aspects of the forest, including a wetland ecosystem and tree plantations. You can even choose to go on night walks or a treasure hunt! 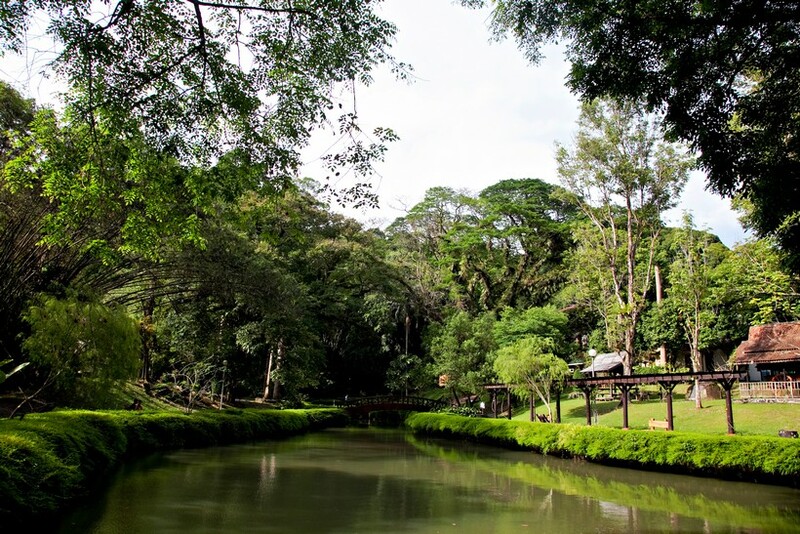 FRIM is also a hotspot for birdwatchers, with over 180 species of bird calling it home. Keep an eye out for the feathered creatures as chances are, you might well run into a stunning ones. Happy running!